A couple of weeks ago, I read a post in a social network about the usage of phrases like “imminent shutdown of production line” as a method to push to logistics suppliers to improve the performance and expedite the time of delivery. The participants on the post were logistics suppliers in a majority; they were laughing of the variety and frequency of “threats” received from logistics managers of manufacturing companies, “you will shut down my plant” was the most common. 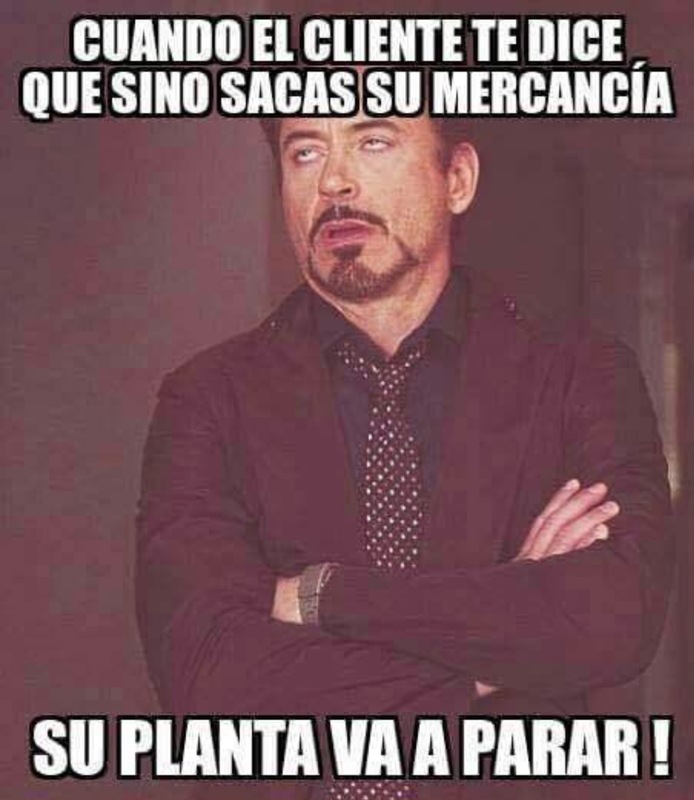 It seemed hilarious, indeed they posted the picture below with the legend “when customer tells you that if you don´t release its merchandise, its plant will shutdown!” But I was wondering why is that so funny? I have said that and it is for real! I suppose that some colleagues are using this method without a real risk involved or probably there are too many risks in their operations and every shipment is urgent or perhaps suppliers are not being empathic with their customers. Just guessing, trying to find an answer. However, based in the responses in that post, I identified some myths and realities of an “imminent shutdown” situation that I would like to clarify. A production plan is based in a study of demand, if demand suddenly changes, let´s say due to quality issues (because nobody wants a product of low quality, demand goes to zero or close to), the production plan is disrupted, as consequence the orders placed behind in the pipeline overtake the original schedule, so some components are short because they were planned to arrive later and voilà you have an urgency. This situation is nothing to do with a disorganised behaviour. As this one we can add a few more that are uncontrollable for logistics personnel, like weather, social protests, strikes in ports, theft, etc. Poor logistics can lead to poor performance of the organisation. But not all defects in supply chain suggest poor management (Waters 2011). Risk makes the difference, that´s why more firms are focusing on risk management. In a “Just in time” manufacturing environment, where materials should arrive when they are going to be used, inventory is considered waste (Muller 2011). In some companies the inventory allowed in plant is not bigger than 1.5 days for materials coming from abroad and a few hours for local components. It´s evident that there is not enough time to react in case of shortage, therefore every minute counts to cover the contingency prior to deplete your inventory on hand. This is when an “imminent shutdown” message becomes a truly risk alert. It´s not uncommon for low-value items to be shipped in expensive modes due to a shortage (Muckstadt & Sapra 2010), actually a company expends a lot of time and money expediting screws and nuts to cover contingencies. But suddenly, at the sight of logistics suppliers, the shipment turns regular without a coherent reason; actually the delivery takes more time than the time consumed in releasing customs. It seems like if someone that sat in a desk, with a cigarette in hand, was taking irresponsible decisions. But this is not exactly what usually happens. 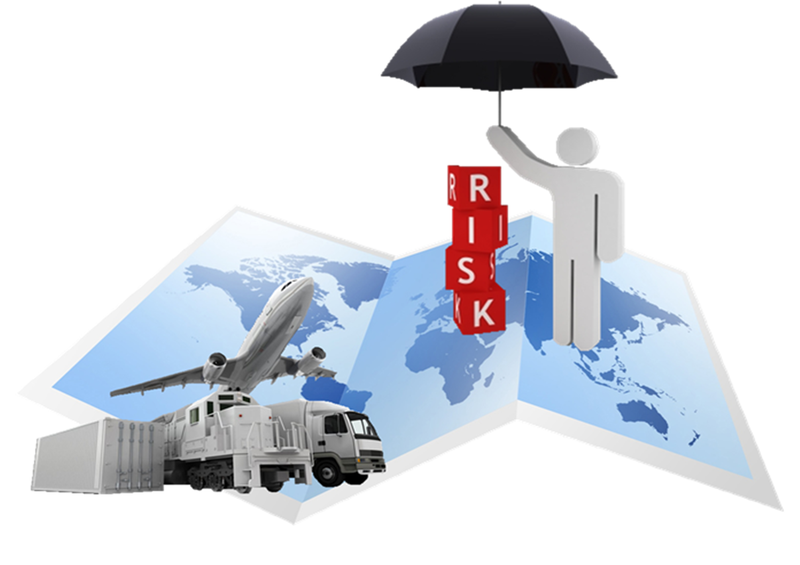 The nature of supply chain makes it vulnerable to different kind of internal and external risks. Logistics managers work hard to make supply chains more efficient but it raises the level of risk and vulnerability (Waters 2011). To counteract the risk, companies are implementing strategies to mitigate the impact of shortages. When a risk is detected, a plan is discussed to determine the best options to avoid the downtime, 2 or more alternatives are placed in the table and often more than one option is performed. For example, option 1 could be to fly the components from supplier´s facilities; option 2, to find a substitute component; option 3, look for a different company using same parts and borrow it. If you don´t find a reason to explain the change of mind of a customer, it could be because another option arrived earlier and the contingency finished. This could be a myth in a 50%, because the other half could be true with a hidden reasonable intention; let me explain. In one hand it´s hard to believe that 10 of 10 logistics operations are urgencies without a good explanation. In the other hand, could be possible that your customer choose your company to manage their premium freight and you don´t know it, but in fact it´s a kind of recognition for your good performance, it´s not easy to gain the trust of a client to manage a critical operation. Organisations are wondering how many resources of the company are dealing with shortages in the supply chain and if situation is sustainable. Complex conditions require the ability to detect the changes in production schedule earlier and react quicker to change product flows to suit shifting customer needs (Bleda & Caballero 2015). Hence, it´s not rare that firms implement a crew strictly dedicated to expedite materials and/or take decisions in case of exceptions to the regular plan. Usually these teams look for solutions in suppliers offering balanced proposals between cost, efficiency and efficacy. Suppliers feeling overwhelmed by pressure should improve their communication with customers to talk about the expectation to handle premium freight, I am sure that it will help to create empathy between both parts. Well, as you can notice I have not discarded the existence of unbearable customers, actually I know a few, but it does not means that there are not a work behind the scenes to reduce planning disruptions, exceptions, premium freight, expedites or whatever word you use talking about this matter. Supply chains are changing, a couple of factors driving this evolution are the recognition that logistics is an essential function that needs careful management, and that decisions about the supply chain have a strategic impact on the organisation (Waters 2011). As I use to say, logistics is not just a part of a bureaucratic system, it is a high impact activity of companies operations. Bleda, J & Caballero, P 2015, Beyond Visibility. Turning exception management into a growth driver, viewed 24 June 2015, <http://www.accenture.com/SiteCollectionDocuments/PDF/Accenture-Beyond-Visibility.pdf>. Muckstadt, JA & Sapra, A 2010, Principles of inventory management: When you are down to four, order more, Springer Science Business Media, New York, USA. Muller, M 2011, Essentials of inventory management, 2nd edn, American Management Association, USA. Simchi-Levi, D 2015, Find the weak link in your supply chain, viewed 23 June 2015, <https://goo.gl/ngXQbH>. 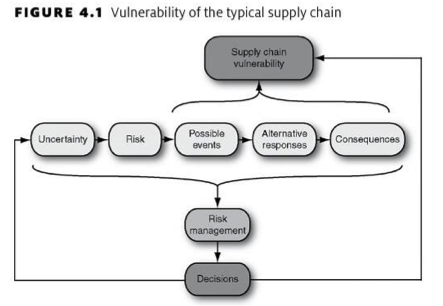 Waters, D 2011, Supply Chain Risk Management: Vulnerability and resilience in logistics, 2nd edn, The Chartered Institute of Logistics and Transport (UK), London, UK. Gracias por tu comentario René!